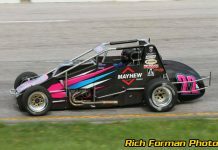 SALEM, IN – The number 23 has stood proudly for three decades, but in this Saturday’s 59th annual “Joe James/Pat O’Connor Memorial,” one of USAC’s most coveted records could be scratched from the books with a new name added to the top in Kody Swanson. 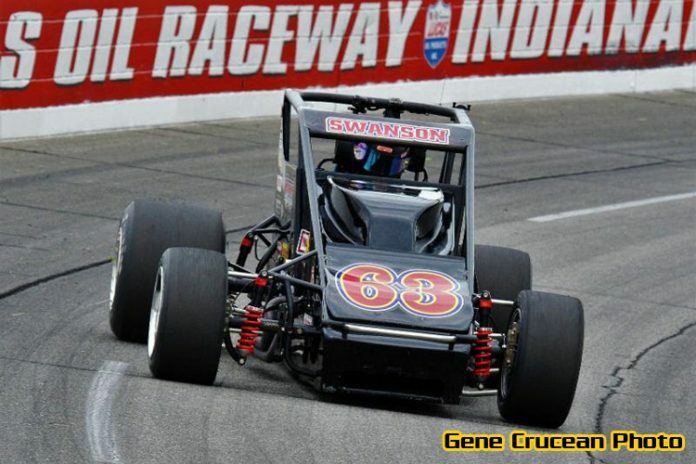 Swanson, of Kingsburg, Calif., comes into this weekend’s 75-lapper at Salem Speedway tied with Jack Hewitt as the winningest USAC Silver Crown driver of all-time at 23 victories. And there might not be a more proper place to accomplish the feat than Salem, where Kody has owned the spotlight since the series returned to the high banks in 2016. 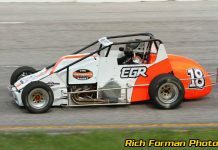 On both occasions, the three-time Silver Crown champ started from the pole position, breaking Rich Vogler’s 28-year-old one-lap record in 2016, then upping the ante in 2017 when he broke his own one-year-old record in qualifying. Although Swanson was victorious on both occasions, by no means were either of those a shoe-in with Aaron Pierce serving as the thorn to Swanson. Pierce led 50 laps in 2016 before spinning while leading with just 15 laps remaining. The following year, Pierce took control at the front for the first 30 circuits before relinquishing the lead to Swanson. Incidentally, just one year ago, Swanson’s Salem score moved him to second all-time in Silver Crown wins with 18 and now stands with a shot at number one at the same track a mere 364 days later. Swanson might as well be “The Eraser” as he’s overtaken just about every significant record with the series in recent seasons. There’s the track records, the shot at 24 wins and the pursuit of an unprecedented fourth Silver Crown title. 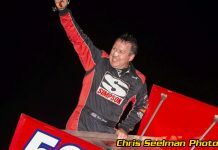 Plus, no driver has won five in a row which Swanson could achieve Saturday at Salem following triumphs at Ohio’s Toledo Speedway, the Indiana State Fairgrounds, Brownsburg, Indiana’s Lucas Oil Raceway and Madison (Wisc.) International Speedway. Speaking of streaks, in 2017, Swanson raced to his second-straight “Joe James/Pat O’Connor Memorial” win, which had only been done three times before by the likes of Parnelli Jones (1960-61) and Brian Gerster (2014-15). Pancho Carter (1974-75-76-77) stands alone at the top with four wins in as many years. The Discover Scott County “Joe James/Pat O’Connor Memorial” presented by Kentuckiana Ford Dealers featuring the USAC Silver Crown Champ Car Series and Lucas Oil Great American Stocks gets underway with the opening of the pit area at 1pm, the opening of the front gates at 3pm, drivers meeting at 3pm, practice at 3:30pm, qualifying at 5:45pm and racing at 7pm. Adult and teen reserve tickets are $23. Tickets for kids age 7-12 are $5 with ages 6 and under getting in for free. Fans can listen to the race live on the USAC app or catch video of the race one day later, on-demand at http://www.Loudpedal.TV/. You can follow along with live updates on https://www.facebook.com/usacracing/, https://twitter.com/USACNation/ and on the Race Monitor app.